These pieces take a creative approach to traditional Americana and add timeless grace to any room. 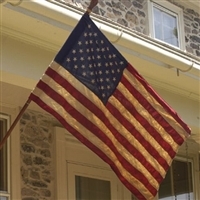 Each decorative accessory displays rich character and warmth in the room it adorns, and proudly displays your pride and patriotism. 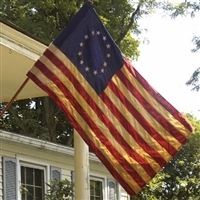 Choose from heirloom Betsy Ross flags to hang indoors or out, metal stars, vintage red, white and blue buntings, signs, pictures, baskets, bowls, flowers, pillows, lanterns and more.